Also known as the spray porpoise, Dall’s porpoises are the fastest of all of the porpoises. They were named after an American Naturalist, W. H. Dall, who was the first person to identify the species. However, it was actually scientifically described by True in 1855. 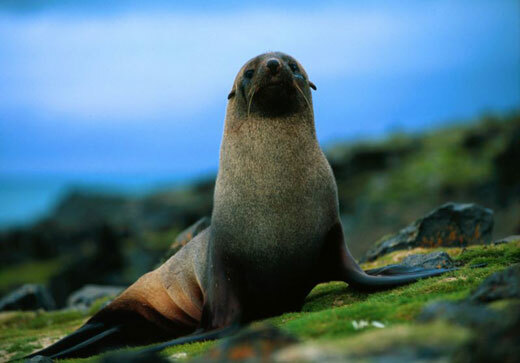 They are found in the North Pacific and the South Bering Sea. Dall porpoises are 350 pounds, and have they can reach lengths of up to 7 feet long. They are stock and powerful creatures, with small, spade-shaped teeth. They have 19-23 teeth in each side of the upper jaw, and 20 to 24 teeth on each side of its lower jaw. They are black and white, with a striking white region on its belly. Their dorsal fin is triangular that is a greyish-white. They have small flukes which are pointed at the tip and there is also a small notch in the center. 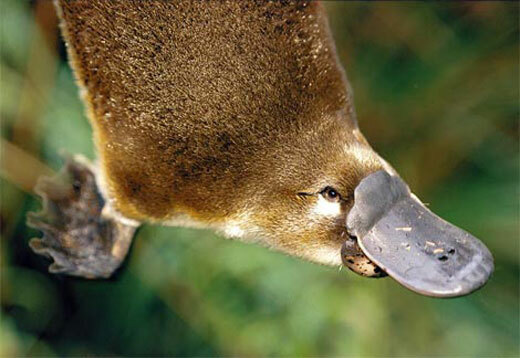 Its head is relatively small compared to its body and does not have a well-defined beak. They have a deep, iridescent blue-green pupil with either a dark blue or black iris. 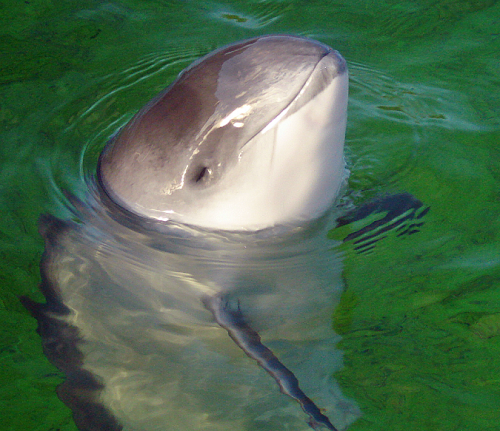 Male Dall’s porpoises reach sexual maturity at 8 years. Females sexually mature at 6.5 years. 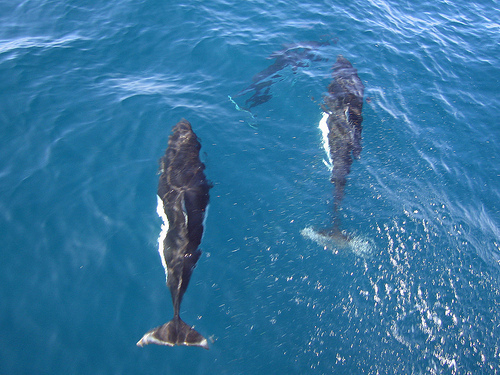 The gestation period for the porpoise is 11.4 months and calves are born in the summer months. Calves are 3 to 4 feet long when they are born. Births occur about every 3 years. The diet of Dall’s porpoises include hake, jack mackerel, squid, herring, and capeling crustaceans. They consume 28 to 30 pounds of food daily, and feed at night time. They are one of the fastest porpoises known to humans. They can reach speeds of up to 30 knots. They do not jump often, but they are known as ‘spray’ dolphins because when they swim fast, their head and back produce a spray called a ‘rooster tail’. It loves to bow ride on the waves that are created by fast moving watercraft. When Dall’s porpoises swims and rolls, they are sometimes mistaken for their smaller and shier cousin, the harbor porpoise. Dall’s porpoises form groups between 2 to 20 individuals. However, there have been sightings of up to several thousand individuals. The natural enemies of this porpoise other than humans are sharks and killer whales. In terms of human destruction, the pollution in all of the world’s seas and oceans continue to endanger all marine life, including this porpoise species. In addition, catches numbering tens of thousands have been reported from a Japanese harpoon fishery. In 1994, almost 16,000 Dall’s porpoises were taken. In 1988, over 40,000 were taken, and this enormous number actually represents a third of the population that migrated through the fishing area per year. In the 1960’s, between 10,000 to 20,000 were entangled in gill nets that were used by high-seas salmon fisheries. 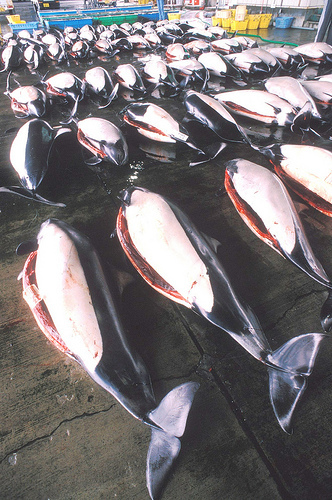 These porpoises were killed and discarded. This species is fragile in captivity. Only a few have been successfully held in captivity, otherwise it prevents them from being a profitable display animal for marine parks and aquariums. my mother told me to look up something that she saw a long time ago in panama, but she says that it isn’t this but something close…sigh, any idea?